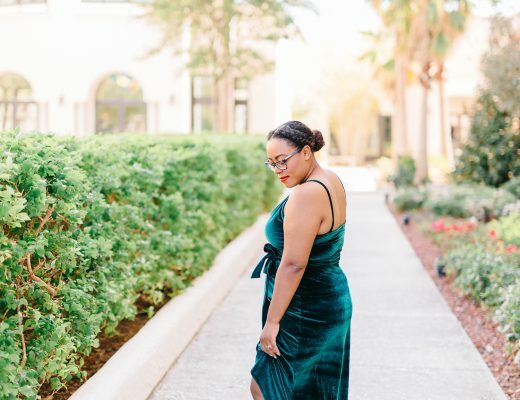 I’m sharing 9 tips for exclusively pumping mamas on the go to hopefully make your pumping journey a little easier in partnership with NUK as part of an Influencer Activation for Influence Central. All opinions expressed are my own. For almost 6 months, I’ve been pumping every day for 8 times a day. Tristan’s cleft palate prohibits him from properly latching so pumping was my only option left. Last week, I shared my love for the NUK® Simply Natural™ Bottles along with some tips for those mamas transitioning their littles from breast to bottle feeding. This week, I’m going to share 9 tips for exclusively pumping mamas on the go. 1. Use a pumping app. The first thing I learned very quickly about exclusively pumping was that I needed to keep track of: time and volume. It’s so important, especially in the early postpartum weeks, to pump every 2-3 hours and keep track of how much you’re producing each pumping session. 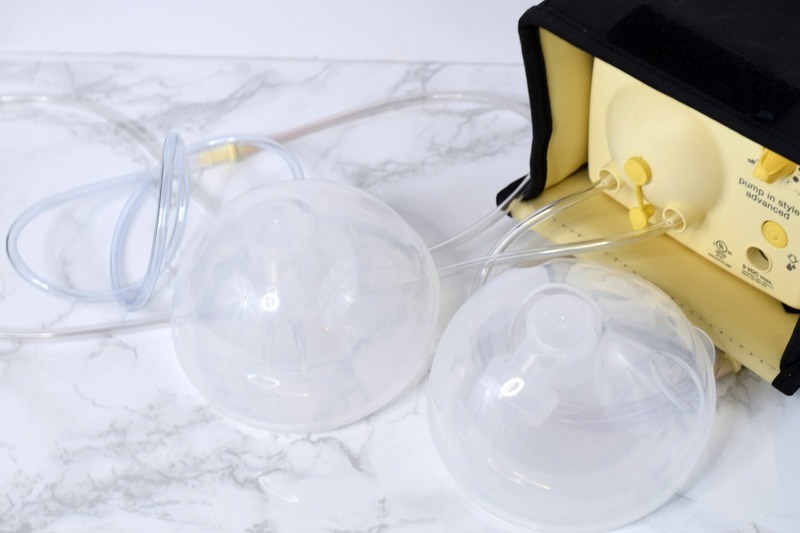 Using a pumping app will allow you to keep track of how often you pump, what you produce on both sides, set a timer for your next pumping session, and will even allow you to keep track of your milk freezer stash. 2. Have a stock of pumping supplies. I can’t tell you how many times I’ve gone out with pump in hand only to forget my pumping supplies. After the first few times of doing this I went out and bought extra pumping supplies. It’s best to keep a ziploc bag with your supplies in all of the places that you pump the most. 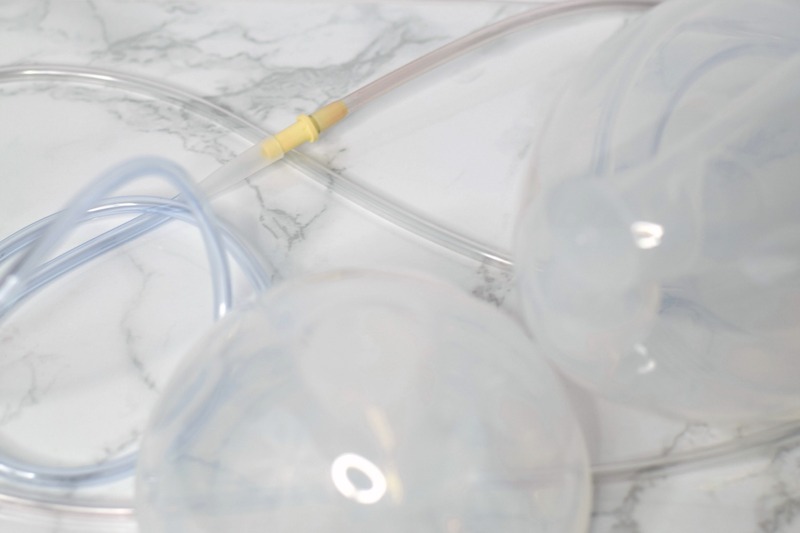 I always kept a spare set of pump parts at the hospital, in my car, and in my pumping bag. That way if I ever forgot the parts I could rely on my handy set of spare parts. Just remember that once you use them you have to replace them with clean ones for your next pumping session. 3. Buy a car charger and pump on the go. Pumping on the go in your car isn’t for everyone and you have to make sure that it is done safely. I’ll admit that it took me a while to warm up to this idea because I thought that it would be uncomfortable but once I tried it, I never stopped. 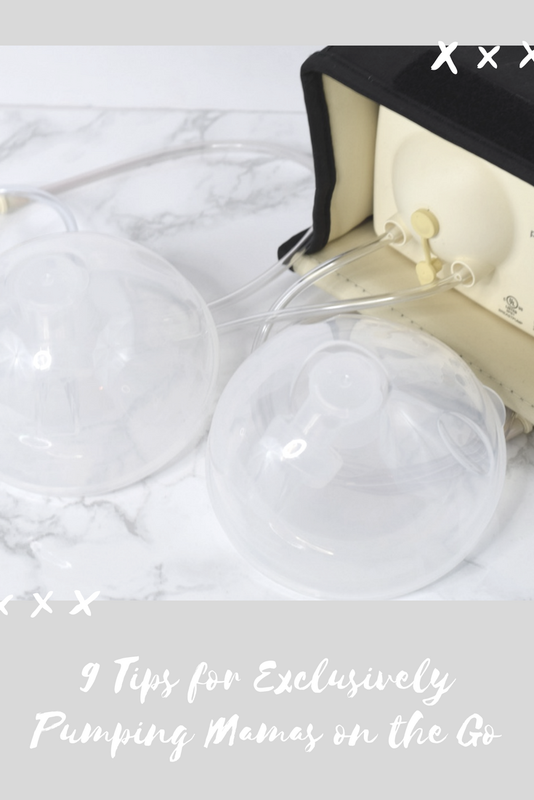 This guide to pumping and driving helped me get my life together for my first pumping session behind the wheel. After I got the hang of it, I decided to make my life a little easier with the NUK® Simply Natural™ Freemie® Cups to avoid all of the awkward stares from other drivers. 4. Drink lots of water and eat healthy. One key to successful pumping is water and good food. In order to have good output you have to make sure that you’re taking care of your body first. The general rule of thumb for folks who aren’t pumping is 8 glasses a day. For a pumping mama, you should constantly be drinking water so that you never find yourself thirsty. There’s no golden rule as to how much water you should drink but you should never be thirsty. In theory the more water you drink and the more balanced your diet is, the better your milk production will be. 5. Indulge in lactation cookies. Lactation cookies are my jam! They are so good and I love that something so sweet can aid in producing more milk. Packing a couple of lactation cookies in your bag on your way out is always a good idea. You can eat them as a snack in between meals or a dessert. 6. Use NUK Simply Natural Freemie Cups. The day I discovered the NUK® Simply Natural™ Freemie® Cups was the day that pumping got a little easier. I can’t tell you how much I really dislike covering up when pumping in public places. To me, pumping is no different than breastfeeding and I shouldn’t have to cover up if I don’t want to but of course people stare and make you feel uncomfortable. With the NUK® Simply Natural™ Freemie® Cups I can pump discreetly under my clothes without anyone noticing. 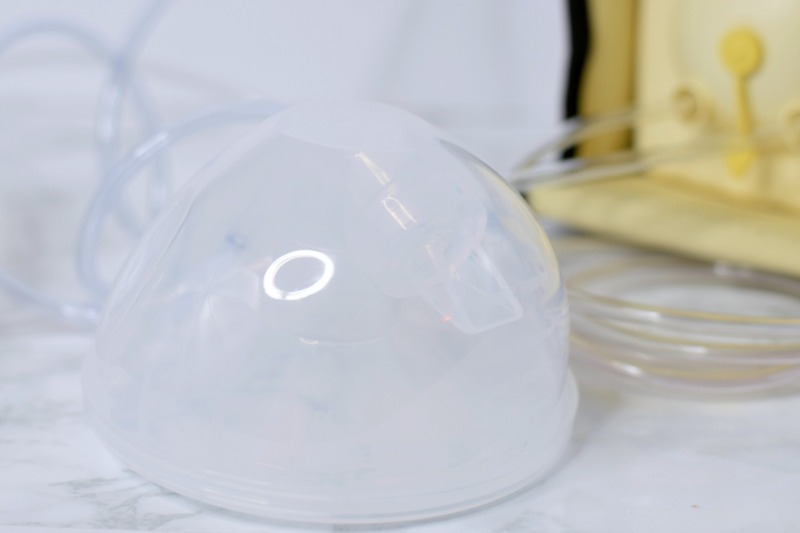 I place the cups into my bra, connect to my pump, and pump away directly into the cups. Once I’m done pumping, I transfer the milk from the Freemie Cups into a bottle or a milk storage bag and store for later use. The NUK® Simply Natural™ Freemie® Cups are available at both Walmart and Target. You can also find the NUK® Simply Natural™ Bottles that I raved about here at Walmart and Target as well. 7. Try a lactation smoothie. Lactation smoothies are my go-to drink. 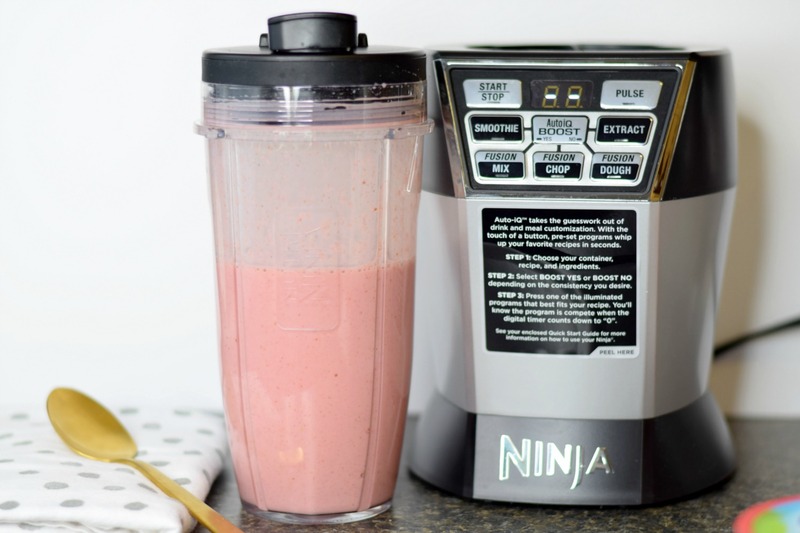 I love prepping this strawberry oatmeal lactation smoothie in the morning before a full day of errands or family fun. It’s made with oatmeal, dairy-free yogurt, and strawberries which makes it the perfect breakfast smoothie. The ingredients help to boost milk supply. 8. Always have pictures of your little. Pictures of your little one while pumping on the go will make things easier. Have pictures readily available because you’ll have something adorable to focus on while you’re pumping. One of the things I love to do while exclusively pumping on the go is maximize my time by multi-tasking. Open up a good book, turn on some music, grab your computer, or even chat on the phone to a friend or family member. Make the most of those 20 minutes that you’ll spend pumping by getting some other things done. Do you have any go-to tips for exclusively pumping?